I’m still here! I had no idea I’d take such a hiatus from blogging, but moving into a house under construction was all-consuming. We are just now finishing up the last touches (or are we???) and even my kitchen is still being finished. It’s been operational since right after Thanksgiving, but it’s almost, almost done now! Right now, I’m feeling in a bit of a personal rut. It seems the work on the house, toddler mom life and some other personal challenges have (hopefully temporarily) shut down my creativity. So rather than dive back into recipe creating and forced posts, I’m going to post when I’m really inspired. 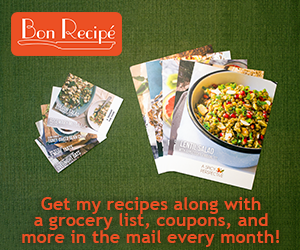 When I share a recipe, you will know that I love it and am excited about it! On a much more positive note regarding our move, we’ve been having a great time meeting people and making friends in a new town. L’s school has been a great place for me to meet other moms and I’ve already found a circle of other women that I look forward to seeing regularly. It’s been really nice and L is very happy with pre-school (he adores his teachers). Very excited to play in the snow! First adventure snowman building adventure! I hope you have some fun and fulfilling holiday plans. I’m looking forward to visiting with family and friends and settling into our home. Now for the regular updates…. I hope that you all are having a wonderful week! Having kids makes it SO much easier to make friends!! Other than that, taking workout classes around town helps too. You will feel at home with lots of friends before you know it! I <3 you!! And miss you!! I can totally understand having no motivation with all that going on around you. It's just too much! Hopefully things start to slow down and look up soon!